Thank you to all 250 of you who attended Bike Walk Connecticut's Annual Dinner and Silent Auction for 2013! We had a bigger space this year, and it sold out - a real testament to the growing strength of Connecticut's bike/ped community. 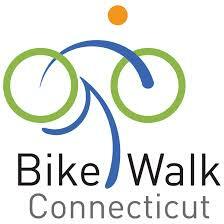 All proceeds benefited Bike Walk Connecticut, your voice for bikeable, walkable communities. DECD Deputy Commissioner Kip Bergstrom, who delivered a terrific keynote address. You can download his remarks here. Then read his follow up OpEd in the Nov. 20 Hartford Courant: Cities, Towns Must Be Welcoming To Young. The hardworking Dinner & Silent Auction committee members: Emily Wolfe, Christine Skelly, MaryEllen Thibodeau, Rick Thibodeau, Jean Sandhofer, Faye Boulton, and Beverly Hughes. The evening's success was a result of their efforts. Peter Faulk for photographing the event. And of course, many thanks to everyone who donated to the Silent Auction.